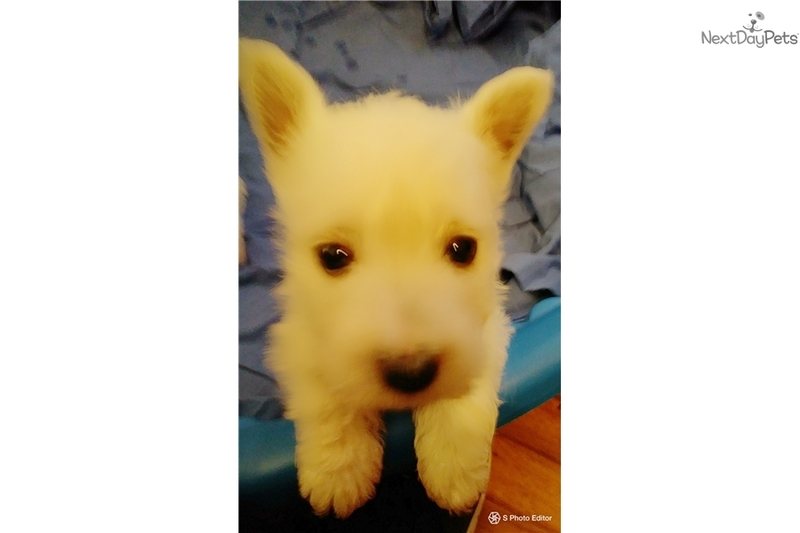 This West Highland White Terrier - Westie nicknamed T.J. "Tommy Jr." sold and went to a new family. T.J is a loving male westie .He loves to play and chase his sisters around the house . Father is from Croatia T.J is only for pet, no breeding so no papers will come with him. Price is 650.00 If interested please call 417 599 2577 or 417 772 6581.